Welcome to Pacific Powertech Inc.
PACIFIC POWERTECH Inc. is the primary independent electrical power service provider in BC. We offer NETA Certified field service and engineering resources at the highest technical level. This assures you that our technicians are proficient in what they do and are certified to a traceable ANSI standard. 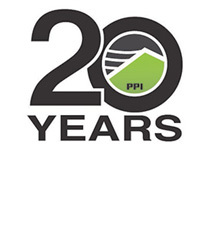 We have over 20 years of experience in the electrical power system industry and have served the British Columbia market for over 20 years. We leverage that experience and partner with the best in the business to get your projects right the first time. From our expanded offices in Port Coquitlam we can provide routine maintenance, emergency services, equipment refurbishment and engineering. Our area of expertise is the specialized testing, inspection, repair and maintenance of critical electrical power system assets. From your utility service and your computer center power supply to power generation and substations, Pacific Powertech Inc. is the first choice of many first time and now long term clients.